As parents, we wouldn’t be able to get through our crazy days without routines! It can be easy to focus on the routines of our children, but good routines as a parent are equally important. The routines you establish and utilize throughout your day play an important role in reducing your overall parental stress, which in turn helps you raise a child (or children) in a calm and happy home. 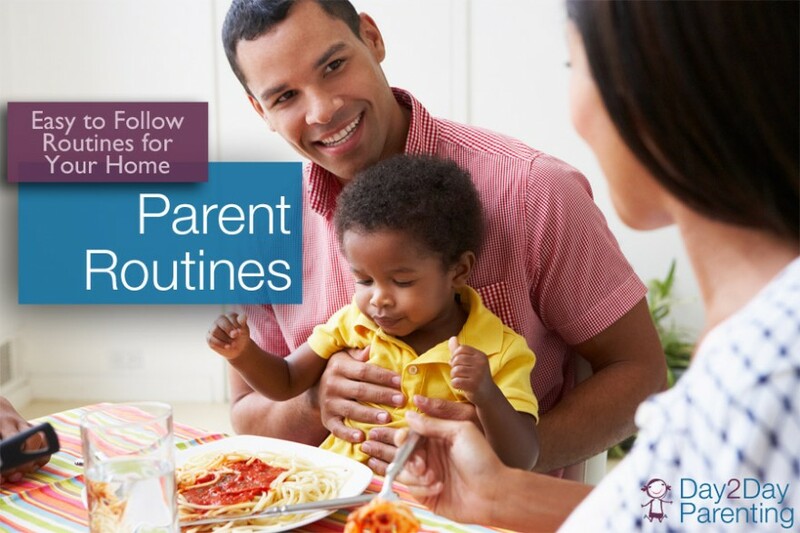 By instituting easy to follow routines for things such as meal preparation, medical appointments, meal time & feeding, and even time away from your child, you can help to create a well-functioning environment in which your child and family can thrive. How much screen time is right for your child? Find the latest guidelines and recommendations. Involving children in cooking can be fun! Learn how to make your errands run a little smoother with our expert tips. Don’t forget about dad. Time with dad is very important for children as soon as they are born. We’ll help you figure out how to do your meal preparation with children in the picture. Learn about important medical appointments your child should have. Nursing and breastfeeding can be difficult. We share proven ways to make it easier. Find out how to balance making time for yourself and your marriage, and helping your children feel safe and secure while you’re away.